Prologue to the Third Edition \ Preface \ 1. A Disquieting Suggestion \ 2. The Nature of Moral Agreement Today and the Claims of Emotivism \ 3. Emotivism: Social Content and Social Context \ 4. The Predecessor Culture and the Enlightenment Project of Justifying Morality \ 5. Why the Enlightenment Project of Justifying Morality Had to Fail \ 6. Some Consequences of the Failure of the Enlightenment Project \ 7. `Fact', Explanation and Expertise \ 8. The Character of Generalizations in Social Science and their Lack of Predictive Power \ 9. Nietzsche or Aristotle? \ 10. The Virtues in Heroic Societies \ 11. The Virtues at Athens \ 12. Aristotle's Account of the Virtues \ 13. Medieval Aspects and Occasions \ 14. The Nature of the Virtues \ 15. The Virtues, The Unity of a Human Life and the Concept of a Tradition \ 16. 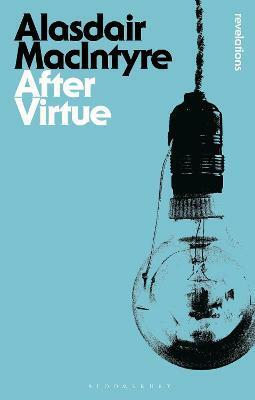 From the Virtues to Virtue and After Virtue \ 17. Justice as a Virtue: Changing Conceptions \ 18. After Virtue: Nietzsche or Aristotle, Trotsky and St Benedict \ 19. Postscript \ Bibliography \ Index.